Our military veterans have served their country with honor. And when they’ve completed their service, many begin to finally look for that perfect home. To show support, the federal government offers eligible members the opportunity to apply for a VA loan. If you’re a military veteran, first, thank you for your service. And if you’re at that point where you and your family are househunting, here’s what you should know about the VA Loan. The VA Loan: What is It? Simply speaking, the VA Loan is a mortgage loan that is backed by the U.S. federal government. This allows lenders to give qualified members cost-savings and ease of approval for that mortgage. However, remember that the VA Loan is not a loan given by the government itself, but rather a guarantee from them to your lender that it won’t be defaulted on. In other words, it’s a security blanket around your loan to allow you to get more loan benefits. So, what perks does a VA Loan have? For starters, there’s no down payment required for loans up to $417,000. That’s right, NO money upfront! Most other mortgages require around a minimum of 20% down before you can get approved. As such, this is one of the strongest advantages of a VA loan. Another great benefit is competitively-low interest rates. In most cases, the VA Loan offers much lower rates than those of traditional mortgages. Finally, another pro is no PMI (Private Mortgage Insurance) since the loan is backed and secured by the government. This saves a significant amount of money for veterans on their monthly payments. There are specific guidelines by the U.S. Department of Veterans Affairs that determine who can apply for a VA Loan. For example, a member must have served 90 consecutive days of active duty during wartime or 181 days of active service during peacetime. If National Guard or Reservists, they must have more than 6 years of service. Spouses can also be eligible under certain circumstances as well. What Paperwork Is Needed For A VA Loan? Like conventional loans, you’ll include documents such as bank statements, government-issued ID, tax returns, etc with your application, However, for VA Loans, you’ll also need a copy of your DD214 to show proof of service. You can also obtain a Certificate of Eligibility (COE) from the Veterans Information Portal to act as proof of your military record. For some states that offer state-specific VA Loans, you may also be required to present other documents as well. While there are advantages to the VA Loan, there are some things to remember. First, VA Loans require a funding fee of 2-3% of your loan amount (to keep the program running). However, this fee can be included in your loan or with your final closing costs. Also, it is true that there are no official minimum credit score requirements for VA loans. But keep in mind, you’re still applying through a lender. And this means that you may still come across some hurdles if you have blemished credit or a history of bankruptcy. The good news is that since the VA Loan is backed by the government, lenders will be more willing to work with you to make that application approval happen. Are you a disabled veteran who receives compensation benefits from the VA? You can have your VA Loan funding fee waived entirely, providing you can obtain a copy of your benefits letter. Another great perk to consider is that, as a disabled veteran, you may qualify for a property tax exemption on your home. This can save you an exponential amount of money on your monthly mortgage payment. However, this program does vary state by state, so make sure to confirm with your local taxing authority to see what exemptions you qualify for. Our military veterans deserve only the best. As a veteran owned and operated company, we take pride in providing superior support and expertise to make your VA Loan process stress-free and easy. 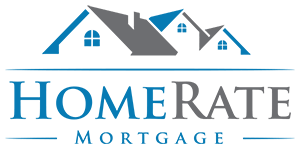 Our mortgages include purchase loans, refinance loans, and even cash-out refinance loans. Plus, we work with borrowers with blemished credit or a history of bankruptcy to get that VA Loan approved. So, if you’re a veteran looking for that perfect house, apply with us today to get started on the path to home ownership.